7104 A paper kakemono (hanging scroll) painted in ink with Daruma. Hakuin Ekaku (1686-1768) Given name: Nagasa Ekaku. Priest name: Hakuin Dōjin. Born in Hara, Suruga Province, he entered the Zen temple Shōin-ji in 1700 at the age of 15 where he studied with Tanrei (d.1701) and was given the Buddhist name of Ekaku. This temple remained his base throughout his long life of teaching and travelling. In 1717 Hakuin became abbot of the Myōshin-ji, Kyoto and later visited a series of temples, wandering through many provinces, teaching Zen to the common people. Finally in 1758 he founded the Ryūtaku-ji in Izu. Hakuin was one of the most important Zen masters of his time, credited with reinvigorating the Rinzai sect. He established the transition from the institutionalised religion of previous periods to a more informal one, aiming to teach directly to the people especially in remote regions. Hakuin painted hundreds of Daruma images, as befitted the Zen patriarch’s role as the single most important signifier of meditation and this became one of Hakuin’s most recognisable and iconic subjects. 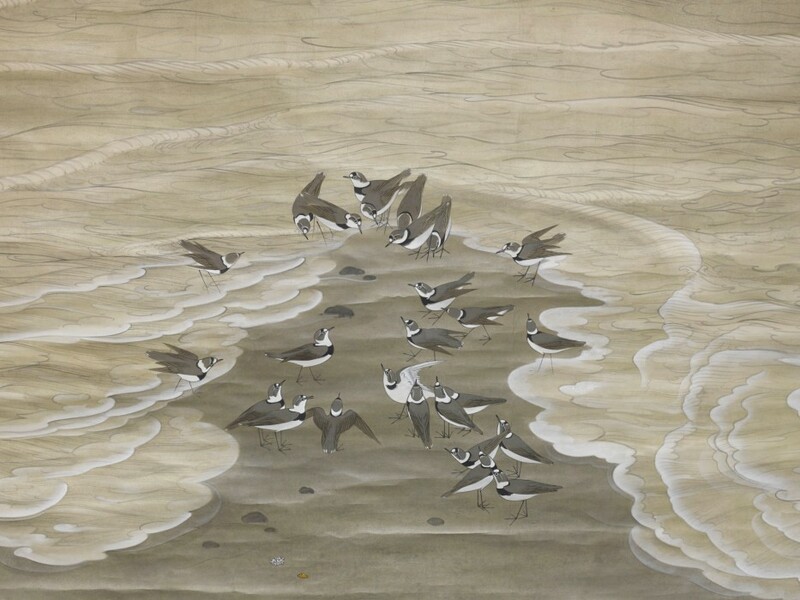 With his widespread popularity, Hakuin was undoubtedly called upon to create numerous images for followers who benefited from this tangible reminder that only by the rigorous discipline of meditation could enlightenment be attained. Daruma (Bodhidharma) is the Sage who founded the Zen sect of Buddhism in China. He is said to have retired to Lo Yang in the year 520 AD where he remained seated, absorbed in meditation for nine years, during which temptations were heaped upon him by evil spirits without any result. At the end of this period his legs were said to have atrophied and he is often depicted as entirely enveloped in his robes, shaped like a bag, from which his swarthy scowling face emerges. Staying true to this image of no feet and the philosophy of perseverance is the popular Japanese toy of the round – based *okiagari-kobōshi or Daruma doll which cannot be knocked over. 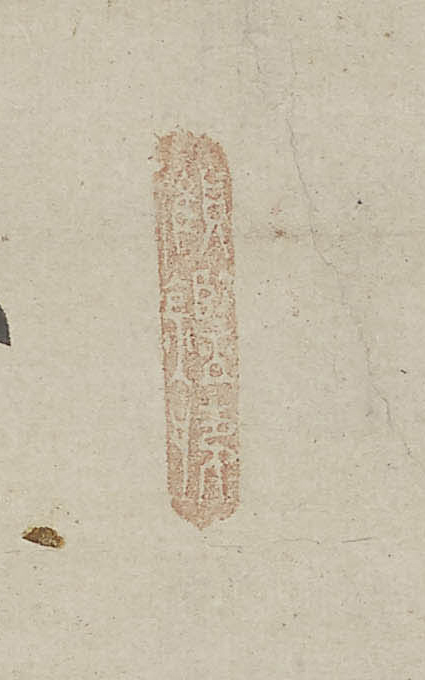 “Seven times down eight times up.” The inscription on this particular scroll draws a direct connection to this image and idea and uses the metaphor of the okiagari-kobōshi doll to enhance the analogy. Having once been tempted by sleep he cut off his eyelids as a penance and tossed them aside, where the lids landed on the ground the first tea plant is said to have grown and to this day Zen monks drink tea to ward off sleep. 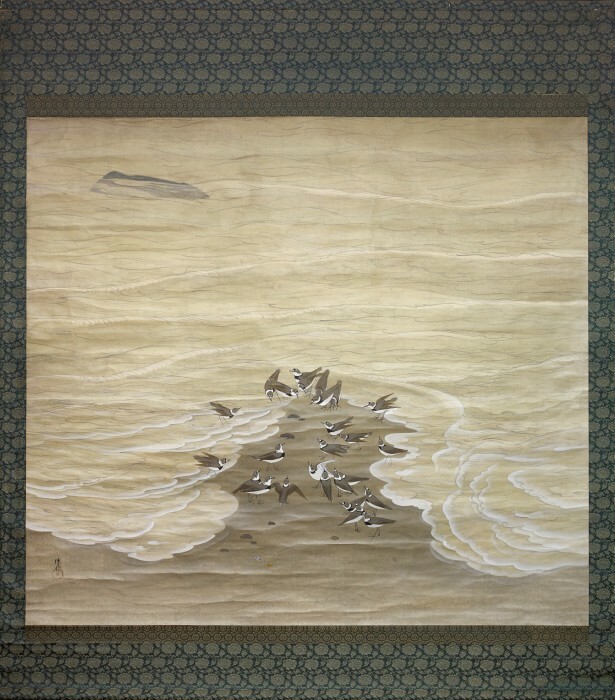 Works by the artist can be found in the collections of: Brooklyn Museum, New York; Museum of Fine Arts, Boston; Seattle Art Museum, Washington; and the Buddhist temples of: Daikō-ji, Miyazaki; Dairyū-ji, Gifu; Empuku-ji, Shiga; Hōrin-ji, Yamanashi; Keiun-ji, Himeji, Hyōgo; Myōkō-ji, Aichi; Ryūgaku-ji, Nagano; Ryūtaku-ji, Shizuoka; Shōfuku-ji, Kōbe; Shōin-ji, Shizuoka; Zenshō-ji, Kyōto. 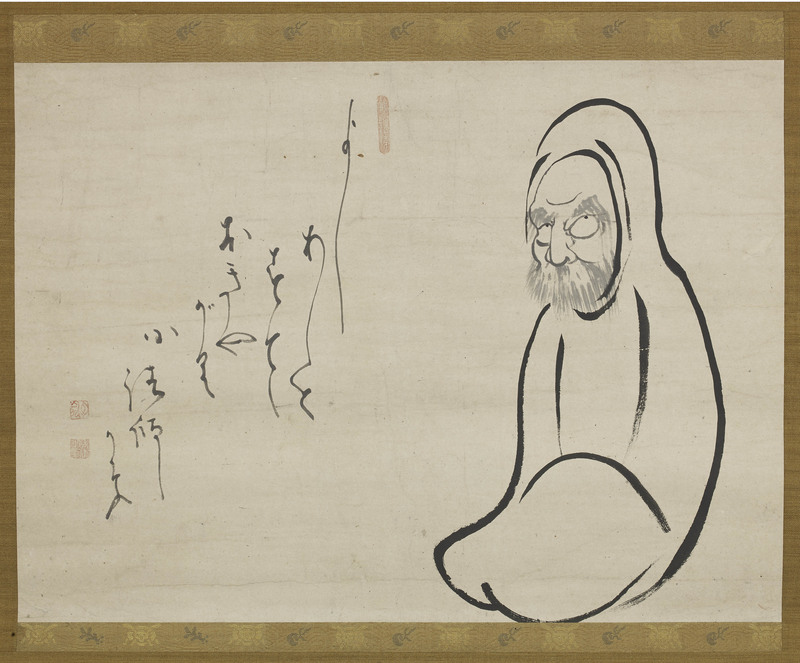 For a similar Daruma ink painting by Hakuin in the collection of Ryūun-ji, Tokyo see: Hakuin, the Hidden Messages of Zen Art, The Bunkamura Museum of Art, p.74, pl. 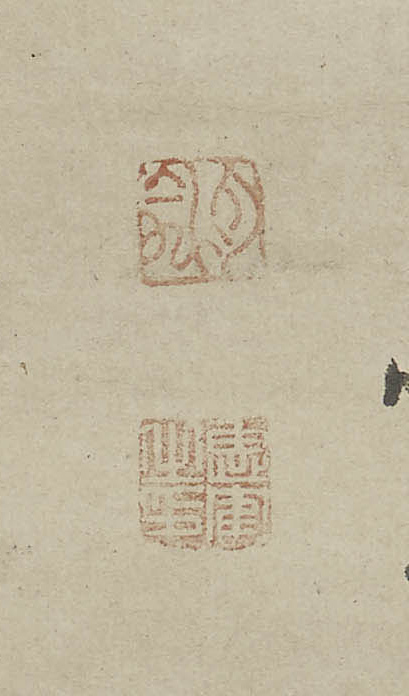 22 and for other examples of this subject matter by Hakuin in the collections of Sanso, Doris and Peter F. Drucker, George Gund Collection and Gitter-Yelen Collection see: Zen Painting and Calligraphy 17th-20th Centuries, Asian Art Museum – Chong-Moon Lee Centre for Asian Art and Culture, p.10, pl.3; p.11 pl.4 and p.12 pl. 5 respectively. SKU: 7104. Categories: Kakemono, Scrolls.